Your home at sea during the holiday of a lifetime. Escape with Celestyal Crystal and feel welcome, cozy and relaxed. Two restaurants, two bars, a café, a thrilling casino, a pool, shops with travel value items and authentic Greek products tailored to your taste and the wellness center with a spa are only there to spoil you. Do not resist. 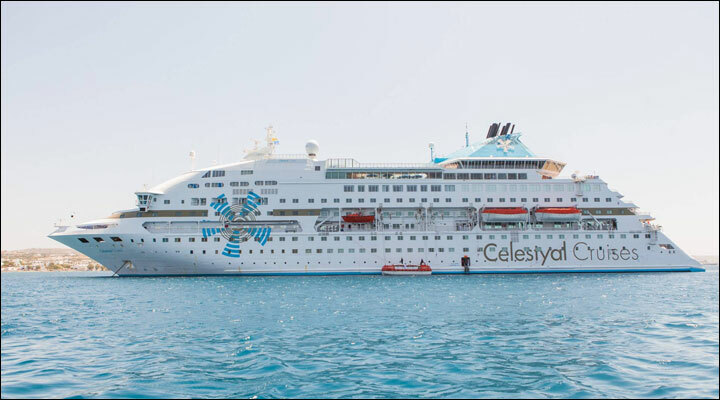 Celestyal Crystal can accommodate up to 1200 passengers in 480 cabins with en suite WC, TV, Radio and A/C.